Ambient Interface research has the goal of embedding technology that disappears into the user’s surroundings. In many ways Augmented Reality (AR) technology is complimentary to this in that AR interfaces seamlessly enhances the real environment with virtual information overlay. The two merge together in context aware Ambient AR applications, which allow users to easily perceive and interact with Ambient Interfaces by using AR overlay of the real world. 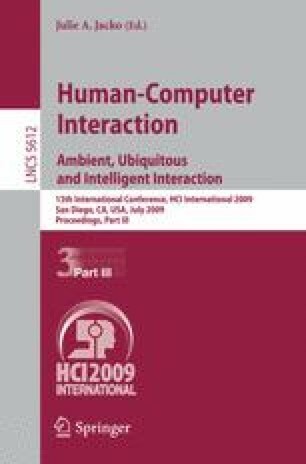 In this paper we describe how Tangible Interaction techniques can be used for Ambient AR applications. We will present a conceptual framework for Ambient Tangible AR Interface, a new generation of software and hardware tools for development and methods for evaluating Ambient Tangible AR Interfaces.